I could start this with “beach weather is around the corner… Blah blah blah.” No. Strong is not always about your body. This NOT about looking good in a bathing suit. This week has been really horrible. Social media always makes it seem like life is sunshine and rosy all the time. That everyone is doing everything and they’ve got their sh%# together and everyone is all smiles. So not the case. No one wanted to wake up this week, I was a horrible mom and yelled most mornings, no screamed. I got to work stressed out, I missed 70% of my workouts, I picked the kids up late every day, I think they got a bath twice. My current exercise group had an amazing week though, they felt stronger, more empowered, lost weight, got more done at work, had patience for their families. I just was not my best self. 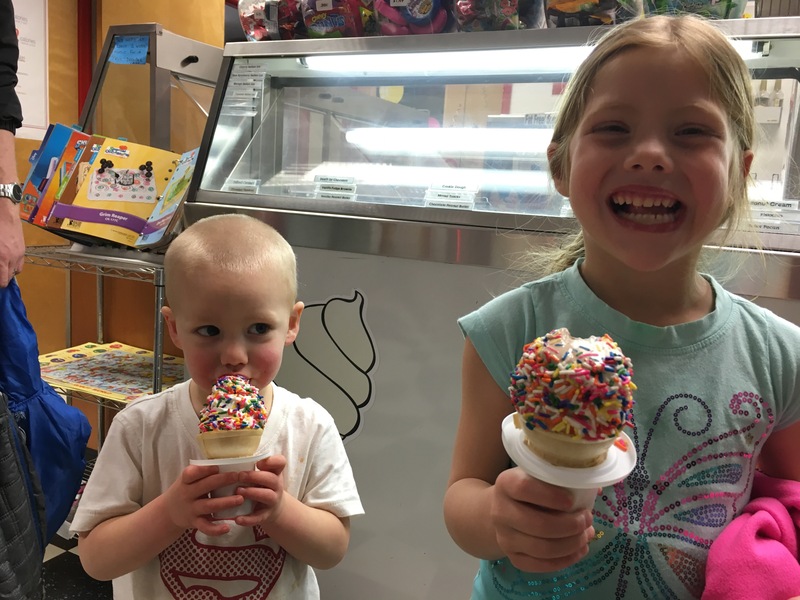 We made up for it with ice cream Friday and some Saturday workouts. 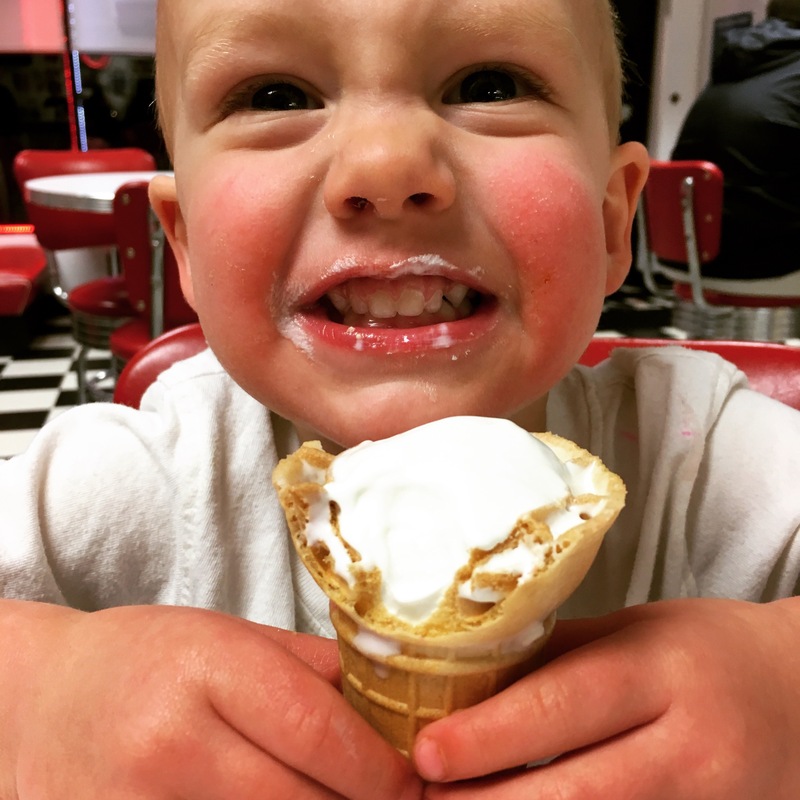 The eternal debate… Hard or soft ice cream. Hard coffee ice cream is my weakness! Felt better after sweating on Saturday. Don’t have a weight bench for decline push-ups? Use the stairs! Anyway, I am reaching out if you want help reclaiming your inner self. I need YOU to keep me accountable. 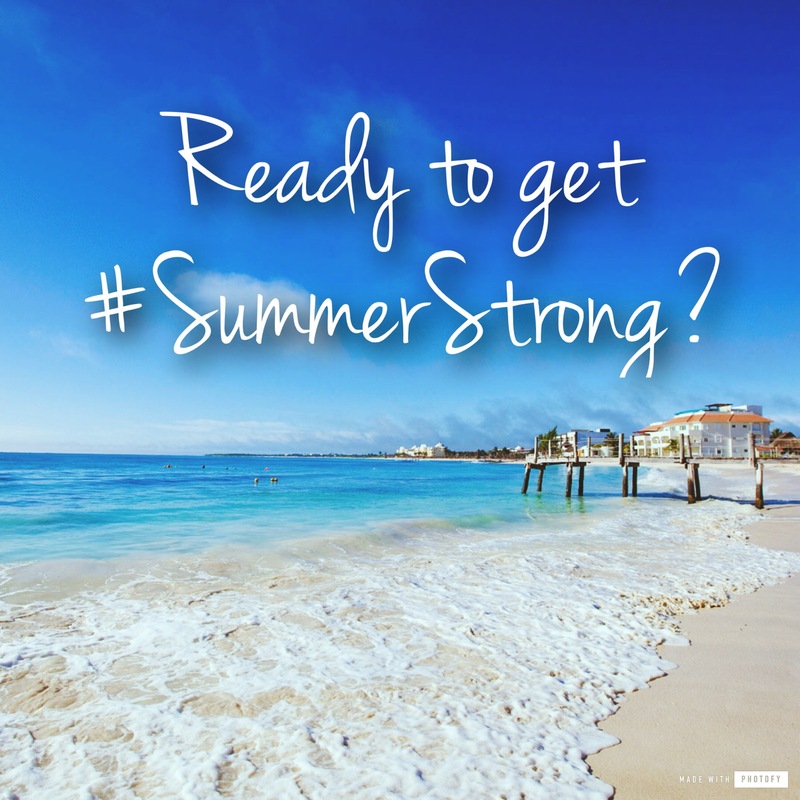 I will be expanding April 4th and participating in #summerstrong with my coach. I am going to share what I learn with you. I’ll recommend a workout you enjoy (from boot camp, cardio, weights to yoga/Pilates), I’ll provide motivation, support, a meal plan and friendship. I have high interest already so comment below if you want in. I’m accepting 10 new clients only. We’ll chat and I’ll give more details. Just visualize yourself 30, 60, 90 days from now. Where do you see yourself? A faster runner? Getting into that yoga headstand, or maybe succeeding at work, or having more patience for your family. Let’s get you there. It’s worked for me every time, now I want to share the feeling with you. Reclaim your strong. Regain your happy. 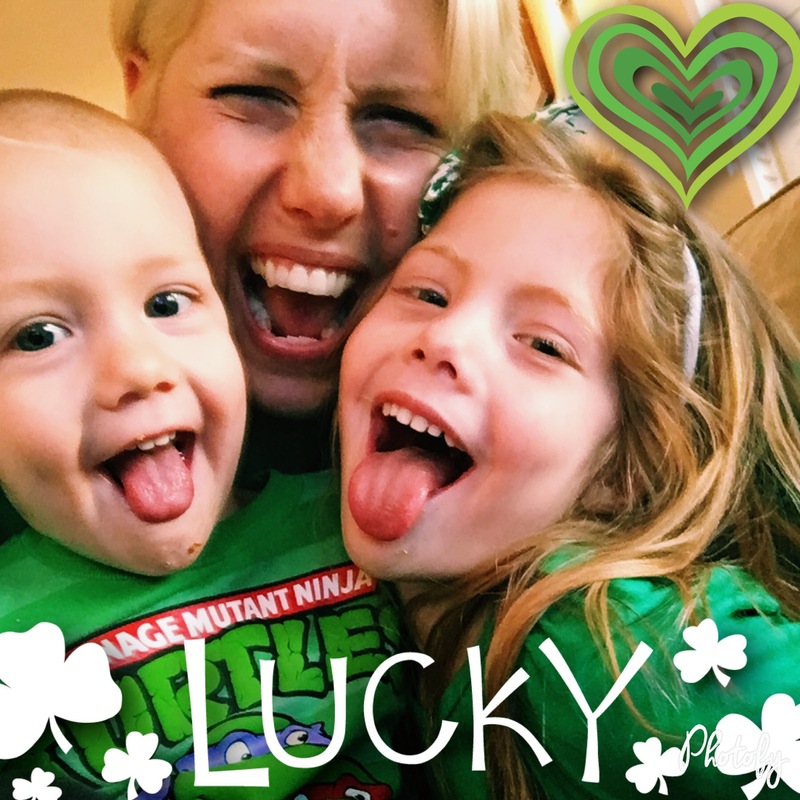 First of all… Happy St. Patrick’s Day! 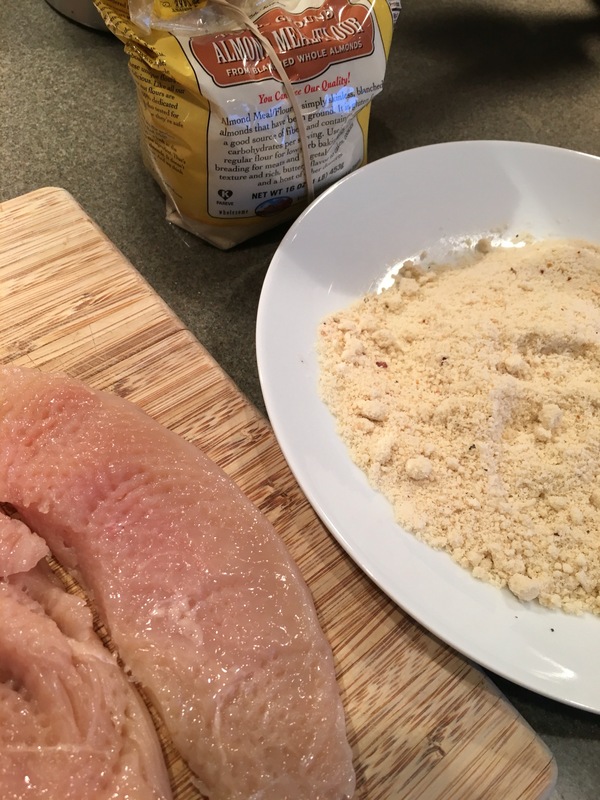 Tonight I wanted to make some Almond Crusted Chicken. It is absolutely delicious, healthy, and the kids LOVE it. Here is the official recipe- but I modified because that’s just too many ingredients for this busy mom and Samantha is allergic to eggs. Place a chicken breast on a cutting board. Hold it flat with the palm of one hand and, with a chef’s knife in the other hand, carefully slice it in half horizontally (parallel to the cutting board). Repeat with the remaining chicken. Place each chicken breast half between 2 pieces of plastic wrap and pound with a mallet or tenderizer until 1/4 inch thick (or about twice the original size). Set aside. Combine almound flour, garlic, lemon peel, salt, and pepper in a shallow dish; mix well. Set aside. Combine egg and water in a shallow dish; whisk to blend. 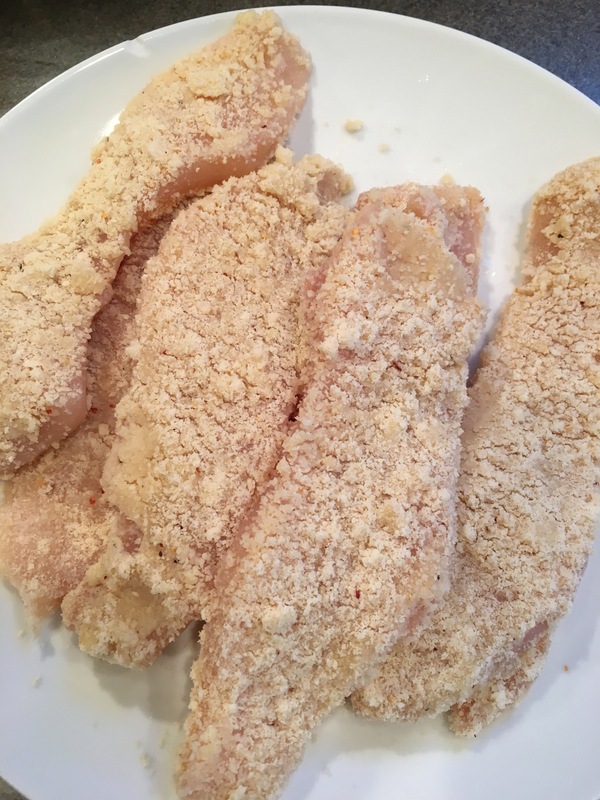 Dip each chicken breast into the egg mixture; dredge in almond flour mixture until evenly coated. Set aside. Heat oil in a large ovenproof skillet over medium-high heat. Add chicken breasts; cook for 3 to 4 minutes. Turn chicken. Place skillet in oven; bake for 10 to 12 minutes, or until a thermometer instered into the thickest pat of each breast reads 165 degrees Fahrenheit. While chicken is baking, heat olive oil in medium skillet over medium heat. Add vegetables, cook stirring frequently for 2 to 3 minutes or until tender-crisp. Almond flour, Trader Joes Salt Grinder Everyday seasoning, garlic salt. 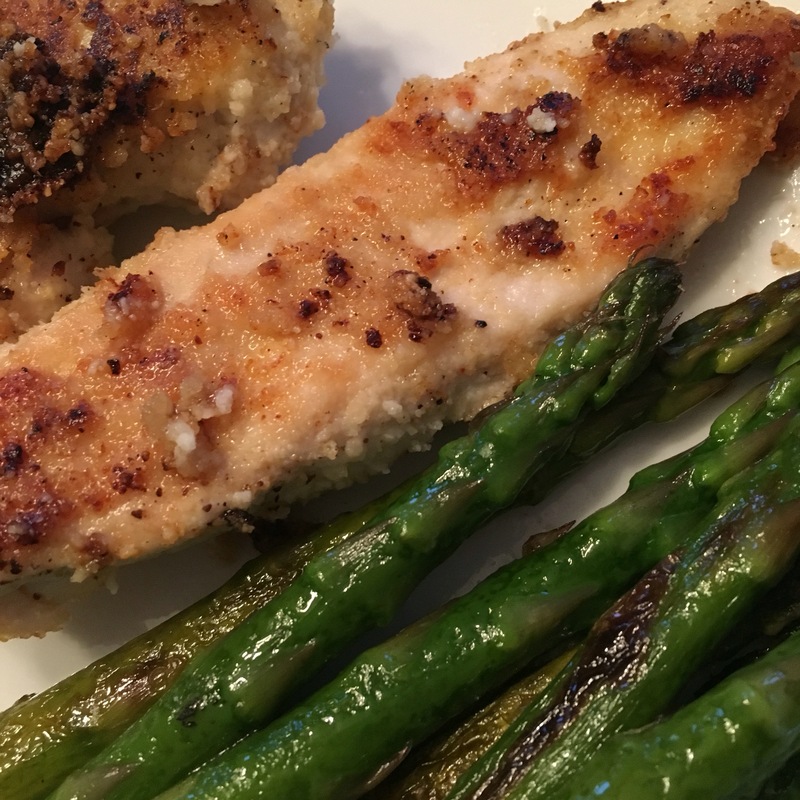 Cut chicken breasts in half, coated in milk then almond mixture, heated on skillet a few minutes each side then popped in the oven. Side of asparagus, recipe courtesy of my brother in law. Olive oil, salt, pepper. Roasted in the oven until crispy, topped with lemon juice. 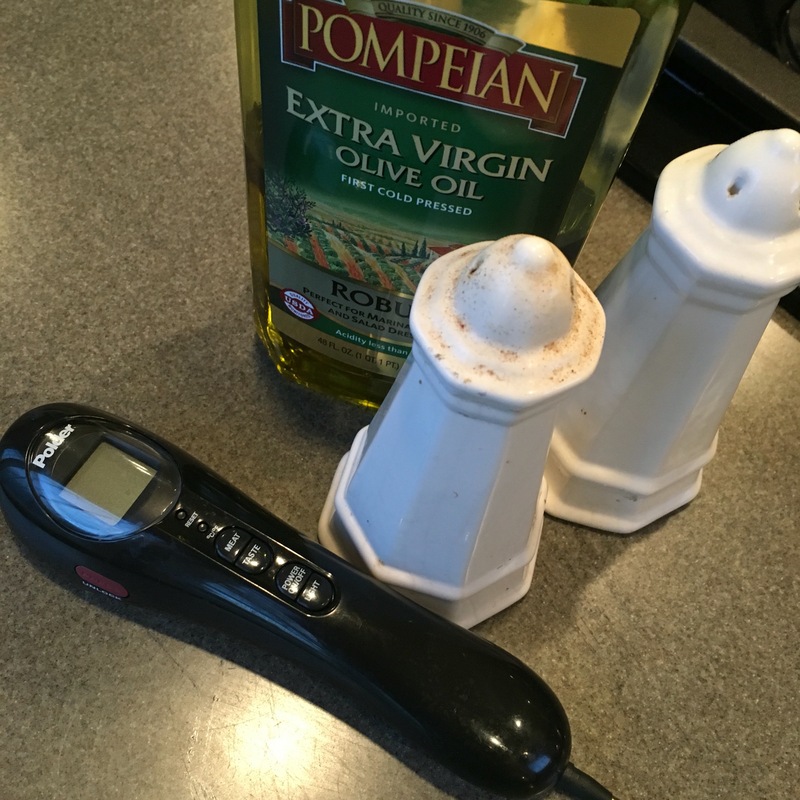 Ps- for all you amateur cooks out there, I can’t live without this meat thermometer! You pick the meat (chicken, lamb, pork, steak, turkey) poke the meat, it beeps when it’s cooked. LIFE SAVER! I needed to get some fresh air. Work has been totally hectic and I’ve been spending so much time at meetings and conference calls I needed to step away so I took my lunch break to go for a wonderful run outside. There were so many people out! I think we all had the same idea. I made sure to pack my clothes just in case the opportunity presented itself! I love my bridesmaid gift from my sister in laws wedding. 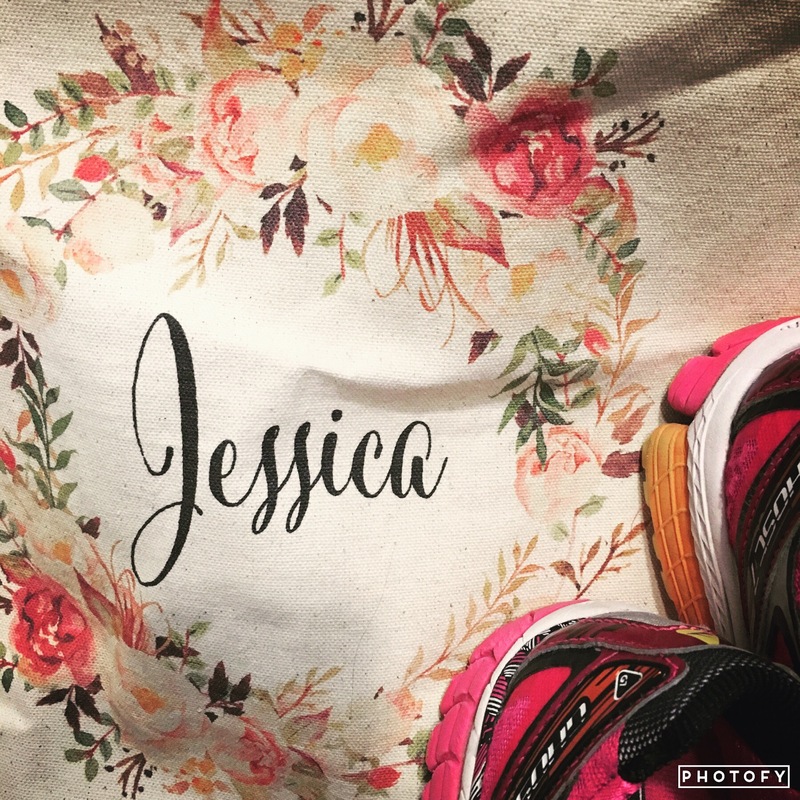 The perfect tote for sneakers and a change of clothes! Running has such a transformative power. You are outside, the sun is shining, you are pushing your limits, and all the stress from your brain starts melting away and you are able to really think. I came back in totally refreshed and with new ideas for how to innovate in the lab. James came home with some Chinese food but I already had dinner cooking. 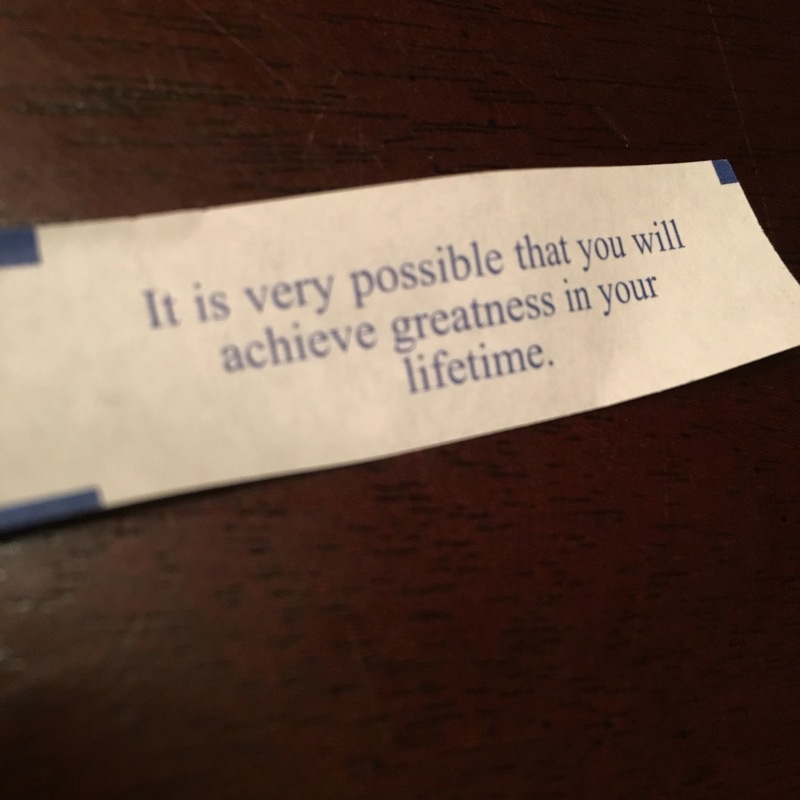 I still took my fortune cookie though! I agree with this sentiment whole heartedly! I don’t know about you but I just love steak. I’m super happy to report I made this recipe by winging it and it was delicious! 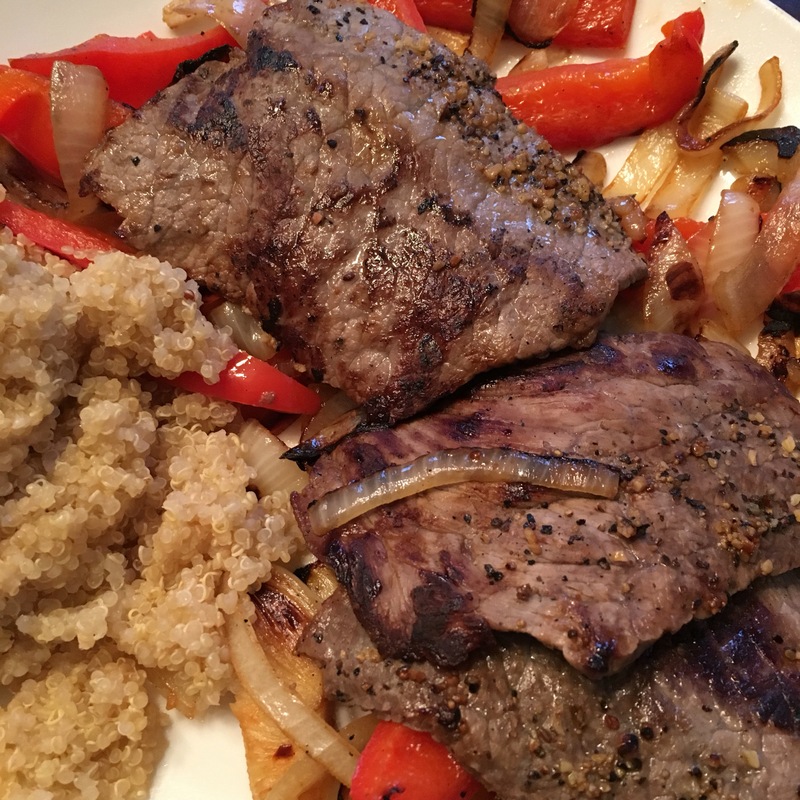 Softened the onion and pepper in olive oil in a cast iron skillet, cooked the steak on high heat about a minute or so each side. Had a side of quinoa for carbs. Quick, easy, inexpensive, and delicious. My favorite dessert is a container of yogurt topped with fruit. 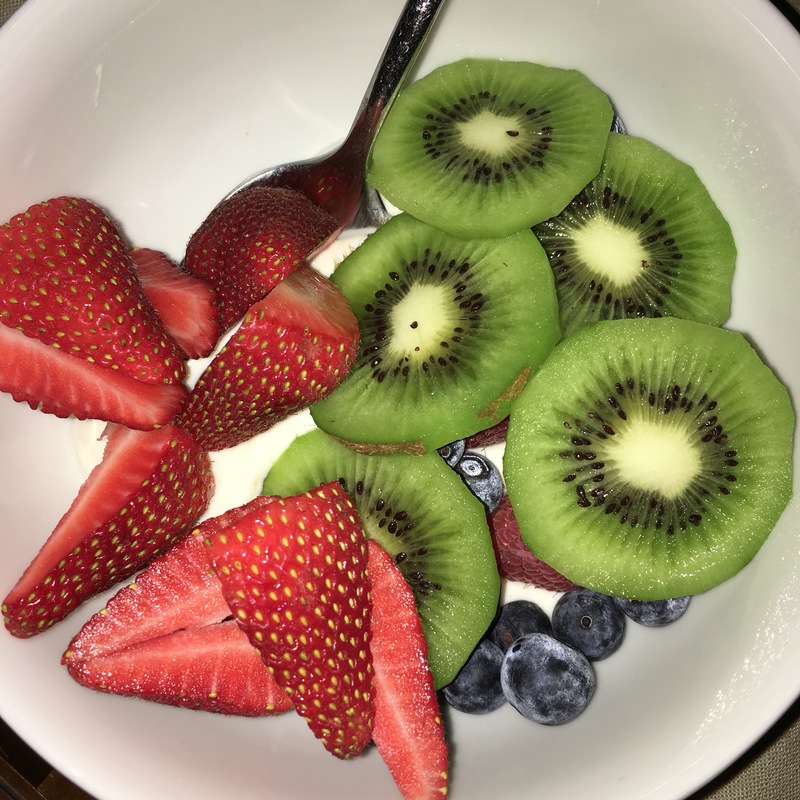 Strawberries, blueberries, raspberries, and kiwi. I am not a natural cook, the other day I was on the treadmill and the cooking channel was on. There were these little snippets in between shows called ingredient intel. I LOVED it! You can go on any ingredient and learn about the history, how to cook with it, what NOT to do and some fun tips. Definitely check it out. Ingredients for spring are artichokes, carrots, radishes, salmon, and spinach. Did you know that carrots that still have their green tops are sweeter? That mini carrots are tender but full sized have more flavor. 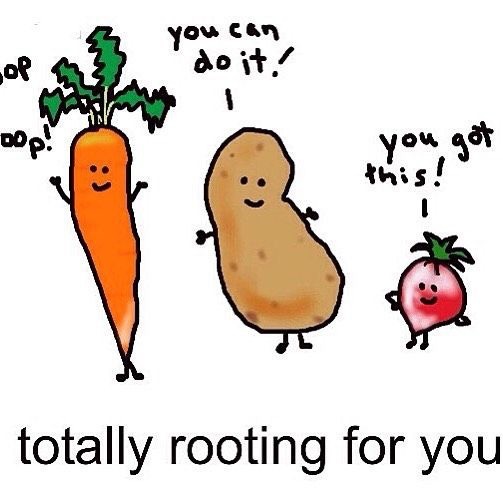 Carrots also cheer you on! A few months ago my son and I were devouring a black bean soup so I knew I wanted to make a batch myself. I love the website Skinny Taste, the recipes are easy to follow and super healthy too. They always fit in my 21 day fix meal plan! You can find the original recipe here. I actually made this recipe over two days. I only have about 2 hours every night after getting home from work before the kids go to bed. Luckily they are toddlers now and would rather watch Disney Junior and unwind from their school day than play with me, so I do get do some some things (like cook and clean and do laundry) before spending quality time with them. The first day I rinsed and cooked the beans, I also chopped all the veggies and put them into bowls so I could just dump and heat everything the next day. I seriously envy all those people on the food network. I am not a fast chopper. Have any of you ever used the slap chop? That thing is seriously my best friend. It is one of my most used wedding gifts! The kids are professional slap choppers. Don’t you just love the rainbow of colors!? Day 2, I cooked the beans with the veggies, added the spices and liquids, sauteed the other vegetables, did the whole combo thing, cooked and blended. The whole second day process took about an hour and half. Just lots of heating and waiting. The recipe made about 10 cups! All in all, this was pretty delicious! I would definitely try it again with canned beans to see if I can cut out all the soaking time and see if it impacted the taste. Gina from Skinny Taste says “Yes, you can, You could add beans with broth and boil, then add the vegetables in the last step and season to taste, cook until about 20 minutes.” I would also cook a little longer to make it thicker and maybe blend a little less. All in all, a super nutritious meal. I would estimate that if following the 21 day fix meal plan It would be 2 Green and 2 Yellow, or if you are vegetarian, 2 green and a red. Drain the water, then add 8-10 cups of cold water when ready to cook. Meanwhile, in a large frying pan, heat oil on low. Add chopped vegetables (onion, parsley, carrots, pepper, garlic) season with salt and pepper and sauté for about 5 minutes, or until soft. Add the vegetables to the soup after it has simmered an hour, then add wine, vinegar, cumin, oregano, bullion, salt and pepper and adjust water if needed. Cover and simmer on low about 15 – 20 minutes. Remove bay leaves, then using an immersion blender , partially blend the soup for about 10 seconds to thicken. If you don’t have an immersion blender, put about 3 cups of the soup in a blender, then add it back to the pot. Adjust salt, pepper and cumin to taste and ladle about 1 1/2 cups into each bowl.Top with sour cream (extra points), chopped onions, scallions, chives or/or cilantro and enjoy!